Compatibility: Requires iOS 10.12 or later. A stunningly reliable multiplatform dog monitor working via WiFi, 3G or LTE transfers with an unlimited range. Now with high-resolution video and lullabies support. 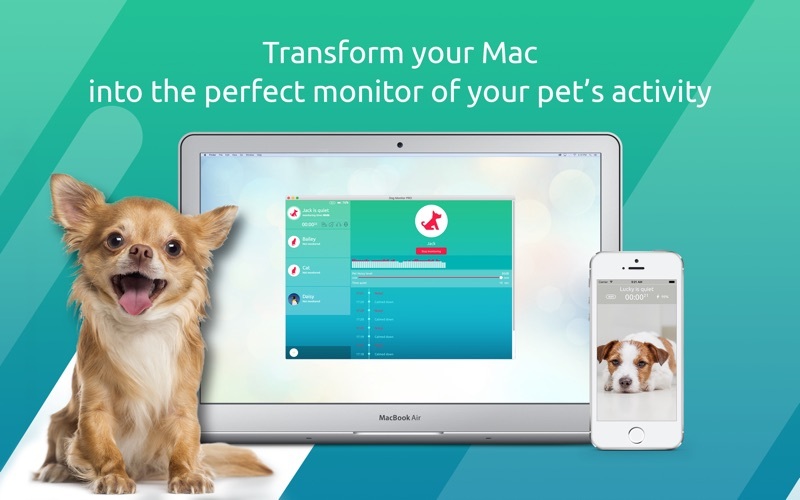 Use it to monitor up to 4 pet animals simultaneously from an unlimited number of owner units. Dog Monitor turns any two devices into the perfect pet-sitting assistant. Dog Monitor always keeps you in touch with your pet animals. 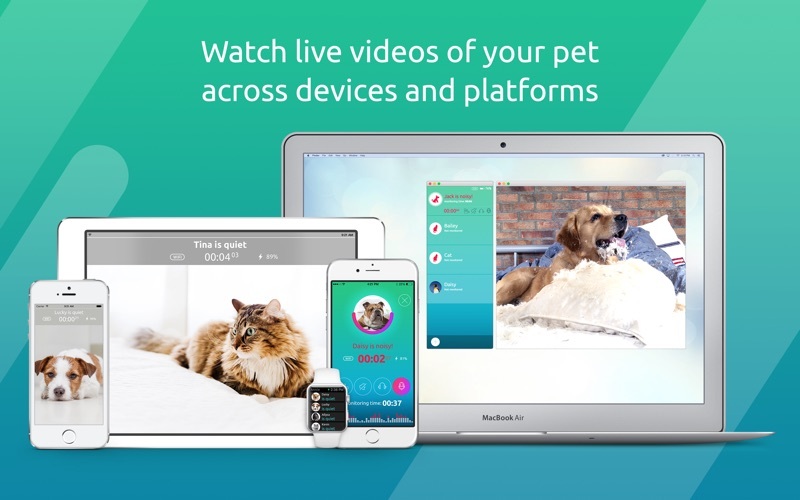 ”The fantastic design and intuitive layout make it easy to set up a monitor in minutes.” TheiPhoneAppReview.com FEATURES: LIVE VIDEO - You can see your pet anywhere, anytime thanks to the full-screen video in five different quality levels. Feel free to use back or front camera of your device and also the Night Light feature. APPLE WATCH- Thanks to WatchKit app & notification, you will see your pet right away. With just one look at your wrist. RELIABILITY - The Dog Monitor works via WiFi, 3G or LTE networks. It reconnects automatically and quickly in the case of WiFi outage! EASY TO USE - With just one glance at your phone‘s display. HIGH-QUALITY AUDIO - You can hear every sound your pet animal produces. MULTI-OWNER & MULTIPET - Monitor up to 4 animals in different rooms. The number of owner units is limitless! SOOTHE YOUR PET - Talk to your animal any time by pressing the mic button. 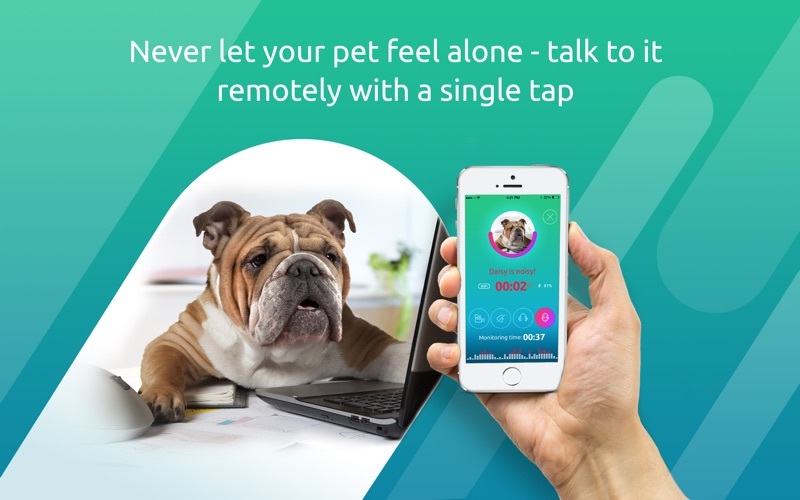 The Dog Monitor never lets your pet feel alone. FAST CONFIGURATION - Fast and secure configuration takes less than 30 seconds. UNLIMITED RANGE - A wide range of supported mobile networks brings you limitless connectivity. Thanks to the Dog Monitor you stay connected wherever you go, even where there is a weak WiFi signal. 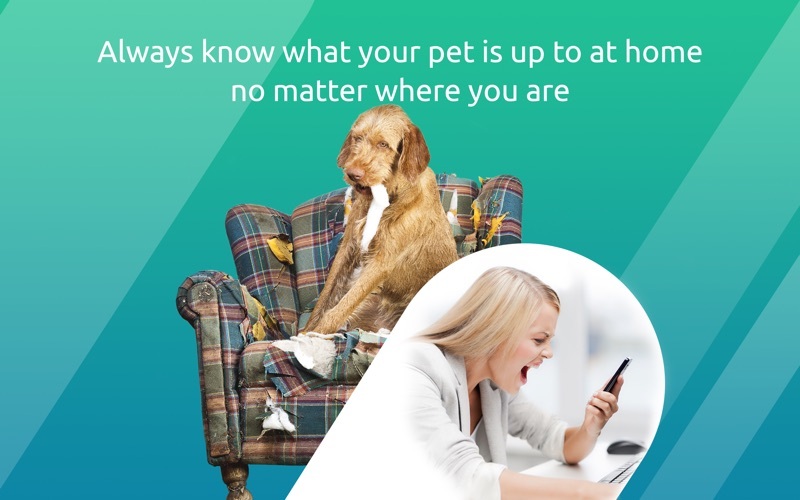 SECURE CONNECTION - All communication between the pet device and the owner device is securely encrypted. Industry standard encryption is used to ensure that only owners have access to their pet audio stream. BATTERY ALERT - Stay informed about the battery status on the pet device. Always be alerted when the battery level drops below 10% or an individually set value. ONE LICENCE PER FAMILY - With the Dog Monitor you only pay once and you are then free to use the application in several devices. WIDE SET OF OPTIONS - Want to personalize some features? With the Dog Monitor, you decide when your pet should be considered fine or how you wish to be notified that your pet is too loud. REQUIREMENTS: - iOS version 9.3 or higher - iPhone 4S or higher - iPad 2 or higher - Apple Watch support requires WatchOS 2.0 or newer CUSTOMER SUPPORT: We would love to hear from you, so please send us your feedback to support@anniepetmonitor.com Do you love using Dog Monitor? It would be nice if you could leave a positive and honest review on the AppStore.